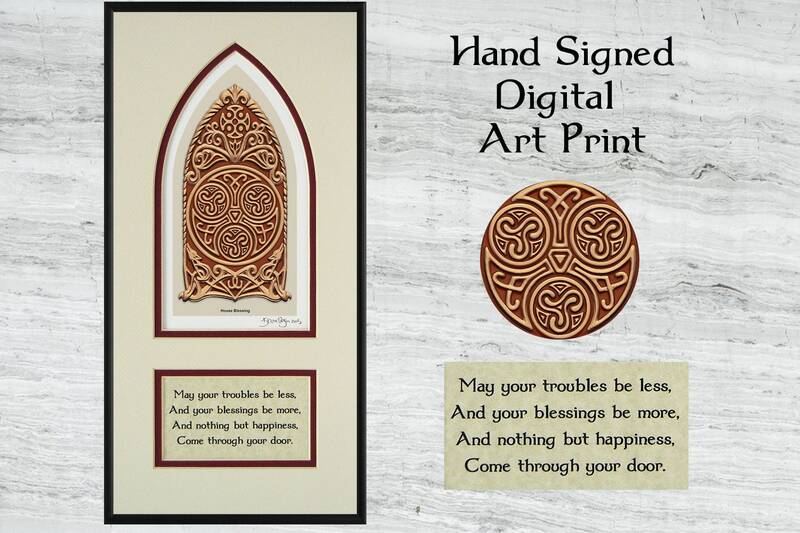 The Celtic House Blessing includes a matted and framed hand-signed digital art print with a traditional Irish proverb on parchment. These are beautifully framed and matted for display in the home. -Ready to gift - Ready to hang. 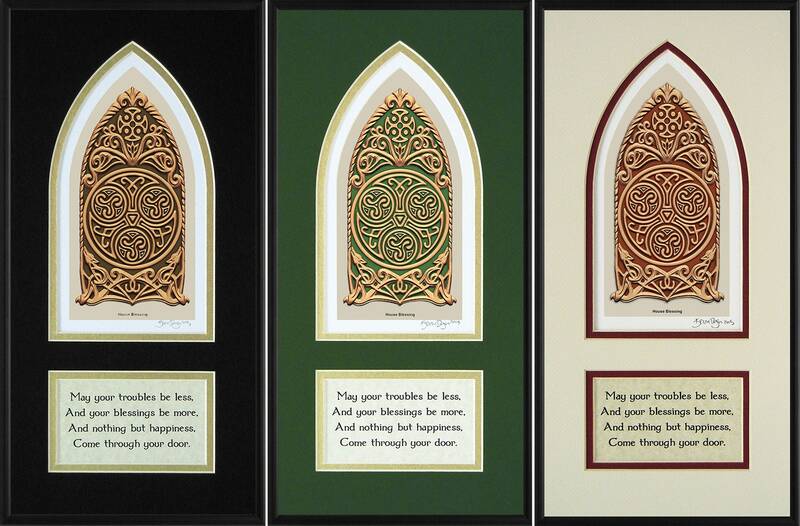 -The frame dimensions are 8″ x 16″ - Perfect for an entry hall or any small space. -Craftfully designed, matted, framed & hand signed by the artist. 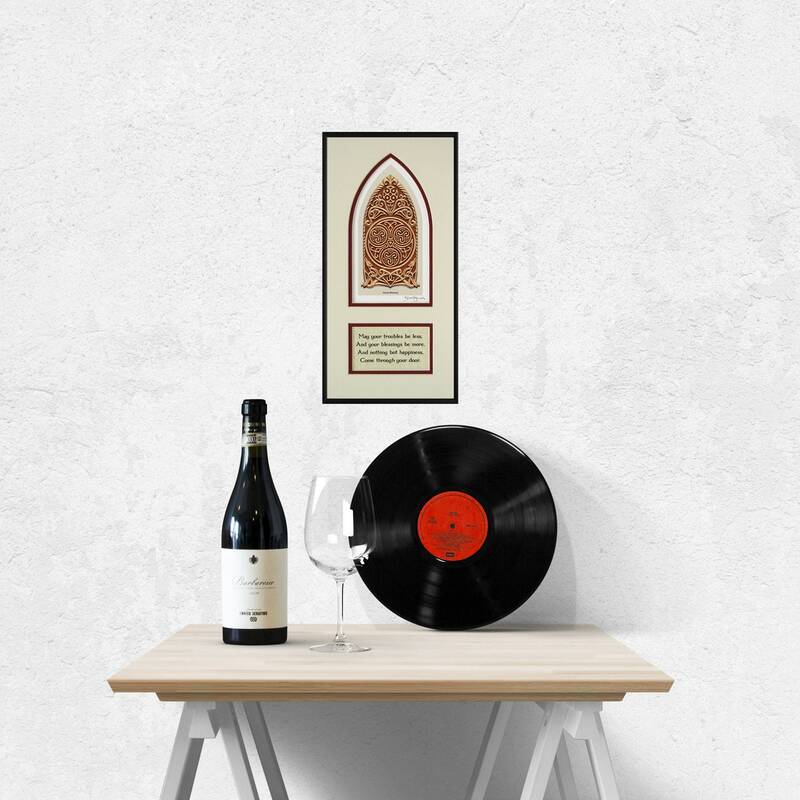 -Free Standard Shipping in the Continental U.S.
Share the magic of the sensational design because the story is included on the back of each piece. -The crown and cross represent the Spirit of Clan, the guiding force of the Celtic culture. This also shows the protective efforts of the -ancestor's spirits. -The flora design denotes awe and respect for the forces of nature. 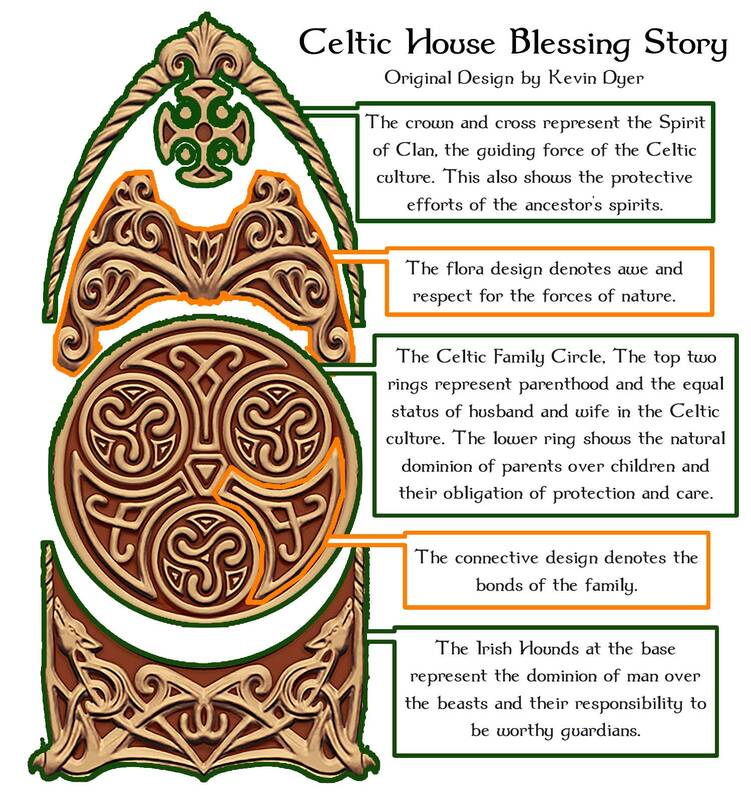 -The Celtic Family Circle - The top two rings represent parenthood and the equal status of husband and wife in the Celtic culture. The lower ring shows the natural dominion of parents over children and their obligation of protection and care. -The connective design denotes the bonds of the family. -The Irish Hounds at the base represent the dominion of man over the beasts and their responsibility to be worthy guardians. My dear friends were touched to receive this as a housewarming gift, calling it “beautiful” and “perfect”. As a bonus, the fulfillment time was incredibly quick. Thank you, Castpaper. Arrived quickly and was just as described. Lovely accessory for our home.